The concept of separability of the arbitration clause/agreement from the underlying contract is a necessity to ensure that the intention of the parties to resolve the disputes by arbitration does not evaporate into thin air with every challenge to the legality, validity, finality or breach of the underlying contract. The Indian Arbitration Act, 1996 under Section 16 accepts the concept that the main contract and the arbitration agreement form two independent contracts. Commercial rights and obligations are contained in the underlying, substantive or the main contract. It is followed by a second contract, which expresses the agreement and the intention of the parties to resolve the disputes relating to the underlying contract through arbitration. A remedy is elected by parties outside the normal civil court remedy. It is true that support of the national courts would be required to ensure the success of arbitration, but this would not detract from the legitimacy or independence of the collateral arbitration agreement, even if it is contained in a contract, which is claimed to be void or voidable or unconcluded by one of the parties. “Under Section 16(1), the Legislature makes it clear that while considering any objection with respect to the existence or validity of the arbitration agreement, the arbitration clause which formed part of the contract, has to be treated as an agreement independent of the other terms of the contract. To ensure that there is no misunderstanding, Section 16(1)(b) further provides that even if the Arbitral Tribunal concludes that the contract is null and void, it should not result, as a matter of law, in an automatic invalidation of the arbitration clause. Section 16(1)(a) presumes the existence of a valid arbitration clause and mandates the same to be treated as an agreement independent of the other terms of the contract. By virtue of Section 16(1)(b), it continues to be enforceable notwithstanding a declaration of the contract being null and void. “The Legislature makes it clear that while considering any objection with regard to the existence or validity of the arbitration agreement, the arbitration clause which formed part of the contract, had to be treated as an agreement independent of the other terms of the contract. Enercon (India) Ltd. V. Enercon GMBH and others, (2014) 5 SCC 1. The Hon’ble Allahabad High Court in the case of Dr. Mehboob Alam v. State of U.P. and others, (2001) 2 JIC 774 considered whether the persons holding degrees in Indian Medicines such as Ashtang, Ayurved, Siddha, Unani Tibb are authorized to practice Allopathic system of medicines and after analysis of provisions of Indian Medical Council Act, 1956 took the view that the medicine means modern scientific medicine for all its branches and includes surgery and same is entirely different from the Indian Medicine and only a person who possesses the qualification enumerated in the first schedule of this order which have been recognized and entitled to be enrolled on any State Register, can only practice. A person holding qualification recognized under Indian Medicine Central Council 1970 Act, does not authorize him to practice Allopathy system of medicine. The Hon’ble Allahabad High Court once again on issue being raised as to whether incumbents who has got to his credit degree in Indian Medicine can he be permitted to practice in modern medicine, proceeded to consider the matter at length in the case of Rajesh Kumar Srivastava (II) v. A.P. Verma, 2004 (2) ESC (All) 960 and repelled the submission, so advanced. Division Bench of the Court once again reiterated the same principal in the case of Ravinder Kumar Goel v. State of U.P., 2004 (2) ESC 976, that a person with Ayurvedic and Unani qualification, if is practicing Allopathic, same is illegal. The field of practice thus stands demarcated, i.e. the doctors enrolled in their branch of medicine should not be allowed to practice in any other branch of medicine of which he has not acquired knowledge or has little knowledge. Under the scheme of things provided for, there is mutual exclusion, i.e. one is not allowed to practice in any other branch of medicine of which he has not acquired knowledge. Praveen Kumar v. State of U.P., 2014 (2) AWC 2018. In California v. Brown, 93 L Ed 2d 934 : 479 US 538 (1987), and other cases, the US courts took the view, “residual doubt” is not a fact about the defendant or the circumstances of the crime, but a lingering uncertainty about facts, a state of mind that exists somewhere between “beyond a reasonable doubt” and “absolute certainty”. Ashok Debbarma v. State of Tripura, (2014) 4 SCC 747. Rebate is though ex hypothesi in the nature of subsidy and other incentives given by the Government but conceptually rebate of tax and incentives are different and it needs to be explained in reference to the purpose and nature of such rebate of tax introduced by the Legislature. The claim for rebate need not necessarily be handed back to the payer after he has paid the stipulated sum, it can also be paid in advance of payment. It is nothing but a remission or a payment back or it is sometimes spoken of as a discount or a drawback. Rebate as defined in Estate of Bernard H. Stauffer v. Commissioner of Internal Revenue, 48 TC 277 (1967), means abatement, discount, credit, refund or any other kind of repayment. Rebates have been normally used as justifiable incentives given by the Government to stimulate small industries or newly established industries. But to understand rebate of tax as rebate per se would be a misnomer. Rebate of tax is the rebate on rate of tax and is essentially the arithmetic of rate. The term “rate” is often used in the sense of standard or measure. It is the tax imposed at a certain measure or standard on the total turnover of the goods. Rate, in other words is the relation between the taxable turnover and the tax charged. “In rebate of tax, the sales or purchases would have to be included in the gross turnover of the dealer because they are prima facie liable to tax and the only thing which the dealer is entitled to in respect thereof is the deduction from the gross turnover in order to arrive at the net turnover on which the tax can be imposed.” State of Uttar Pradesh and Others v. Jaiprakash Associates Limted, (2014) 4 SCC 720. “From this Article it is evident that rules relating to the recruitment of persons to public services and posts are distinct from rules relating to the conditions of service. The conditions of service are conditions applicable to persons who have been appointed to public services and posts. The terms and conditions relating to recruitment and relating to appointment to public services and posts must, therefore, be regarded as distinct and different from the conditions of service governing persons on their appointment to public services and posts.” Raj Kumar Pandey and others v. State of U.P. and Others, (2014) 1 UPLBEC 224. The word “appear” means “clear to the comprehension”, or a phrase near to, if not synonymous with “proved”. It imparts a lesser degree of probability than proof. In Pyare Lal Bhargava v. State of Rajasthan, AIR 1963 SC 1094, a four Judge Bench of the Hon’ble Apex Court was concerned with the meaning of the word “appear”. The Court held that the appropriate meaning of the word “appears” is “seems”. It imports a lesser degree of probability than proof. In Ram Singh v. Ram Niwas, (2009) 14 SCC 25, a two Judge Bench of the Hon’ble Apex Court was again required to examine the importance of the word “appear” as appearing in the Section. The Court held that for the fulfillment of the condition that it appears to the Court that a person had committed an offence, the court must satisfy itself about the existence of an exceptional circumstance enabling it to exercise an extraordinary jurisdiction. What is therefore, necessary for the court is to arrive at a satisfaction that the evidence adduced on behalf of the prosecution, if unrebutted, may lead to conviction of the persons sought to be added as the accused in the case. Hardeep Singh v. State of Punjab, (2014) 2 SCC (Cri) 86. ‘Trial’ means determination of issues adjudging the guilt or the innocence of a person, the person has to be aware of what is the case against him and it is only at the stage of framing of the charges that the court informs him of the same, the ‘trial’ commences only on charges being framed. Section 2(g) of the Cr.P.C. therefore clearly envisages inquiry before the actual commencement of the trial, and is an act conducted under Cr.P.C. by the Magistrate or the Court. The word ‘inquiry’ is, therefore, not any inquiry relating to investigation of the case by the investigating agency but is an inquiry after the case is brought to the notice of the court on the filing of the charge-sheet. The Court can thereafter proceed to make inquiries and it is for this reason that an inquiry has been given to mean something other than the actual trial. Even the word “course” occurring in Section 319 Cr.P.C., clearly indicates that the power can be exercised only during the period when the inquiry has been commenced and is going on. 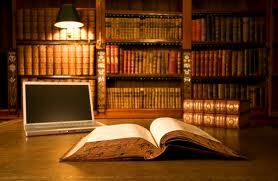 It covers the entire wide range of the process of the pre-trial and the trial stage. The word “course” therefore, allows the Court to invoke this power to proceed against any person from the initial stage of the inquiry upto the stage of the conclusion of the trial. The Court does not become functus officio even if cognizance is taken so far as it is looking into the material qua any other person who is not an accused. The word “course” ordinarily conveys a meaning of a continuous progress from one point to the next in time and conveys the idea of a period of time, duration and not a fixed point of time. Hardeep Singh v. State of Punjab, 2014 (85) ACC 313.